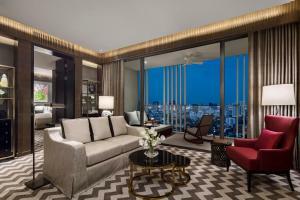 Offering luxurious suites, 137 Pillars Suites Bangkok features plush furnishings and free WiFi. 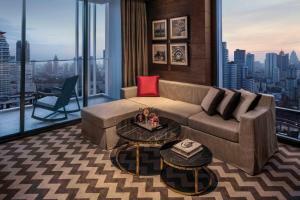 This 5-star property is 1 km from Phrom Phong BTS Skytrain Station and the endless shopping options at Em District. Additionally, a free shuttle service is provided to those spots for the convenience of guests. 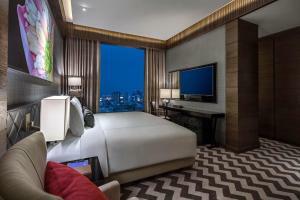 With some of Bangkok's best restaurants and trendy spots nearby, the property is a 30 km drive from Suvarnabhumi Interational Airport and airport transfers can be arranged. Offering a private balcony, the fully-appointed suites are air-conditioned and come with a dining area, a kitchen and a flat-screen TV with international channels. 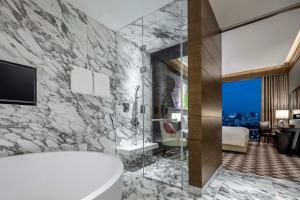 All en suite bathrooms come complete with a bathtub, shower and premium amenities. 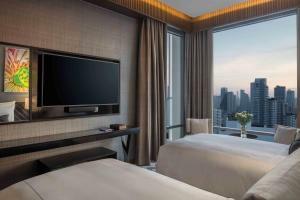 With a variety of high class services and facilities, some highlights at 137 Pillars Suites Bangkok include butler service, a swimming pool, a fitness centre and a spa. A variety of dining options are also on offer to provide a range of cuisines and experiences. 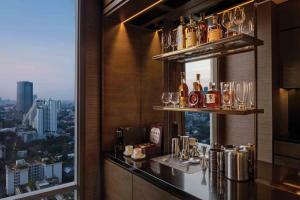 Featuring mood lighting, this suite offers a private balcony, a pantry and a walk-in wardrobe. 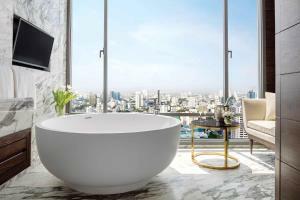 The en suite bathroom offers a bathtub with views. 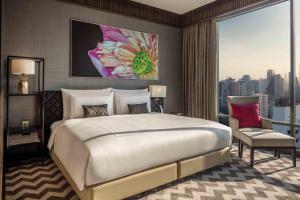 Rate: THB 12947.00 ... THB 34133.00; select dates below to get current rates. This 1-bedroom suite features a living space with dining table and a pantry. The spacious balcony includes a rocking chair and an oversized daybed. There is a guest bathroom and an en suite master bathroom. The living room, bedroom and master bathroom all come with a built-in TV. Guests also enjoy a butler service. 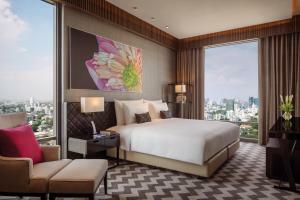 Rate: THB 15222.50 ... THB 28836.50; select dates below to get current rates. 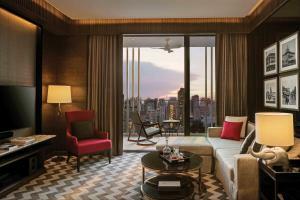 This suite features a balcony facing the main Sukhumvit Road area, complete with a rocking chair and a spacious daybed. The living room includes a dining table and there is also a walk-in wardrobe. 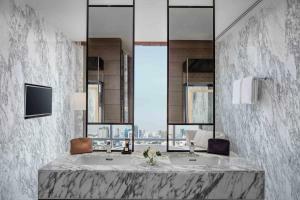 The suite offers a large en suite bathroom and a separate guest bathroom. Guests also enjoy a butler service. Featuring a 9.5 metre long private balcony, this 2-bedroom suite offers a dining room, pantry and walk-in wardrobes. 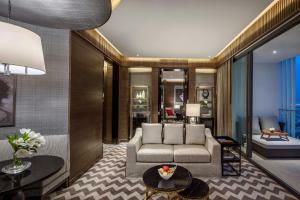 These bespoke suites are fitted with mood lighting, USB ports for charging devices and 2 bathrooms. The bathrooms come with a bathtub and built-in TVs.